There are a lot of places to look for a dentist, but its not always easy to find a dentist in Moore OK. It used to be that you could find a dentist just by walking down to the corner of the street. Like many small towns, there would be a dentist on the corner of ‘north and main’, just up from the fire house, and across from the bakery. Today, finding a dentist in the Moore OK area can take a little more time, and a little more effort. Our local community is spread out a little more, and there is more than one option for finding a local dentist. The old timers among us still reach for the yellow pages when we look to find a dentist in our local community. The yellow pages have been a standard for dentists since the beginning, and are a quick way to get a good list of area dentists. Studies are showing an ever increasing number of Moore OK consumers are turning to their Internet connection to find a skilled general dentistry professional. Looking for a dentist online can mean more than just a name and a phone number; many dentists, like us, have additional information on their website that will help you gain a better understanding of their practice and the services they provide. Many people find a dentist through printed mailers and flyers that come to your door. Moore OK dentists spend a lot of money on these types of flyers, which can often carry a discount opportunity or special promotion. The most popular method used to find a local dentist? …Word of mouth. Studies have shown that people in Moore OK are more willing to listen to a family member or close friend when it comes to finding a local cosmetic dentist. We understand this last point, and make it our job to keep our patients happy, healthy, informed and comfortable during their visit to the dentist. We know if you leave happy, your friends and family in the Moore OK area will hear about us, too. 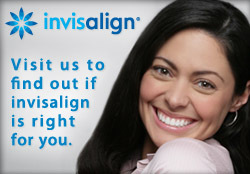 If you are looking for a dentist in Moore OK, please give us a call. You can reach us at 405-634-7303. If you know a friend who is trying to find a dentist, please pass our name along. We look forward to seeing you both! PS: Just click on the words ‘find a dentist’ in this article to visit our online dental website. OKC dentists Dr. Mark Phan and Dr. Murray proudly offer cosmetic dentistry, dental implants, general dentistry and sedation dentistry to patients in Oklahoma City and the surrounding area including Mustang, Norman and Moore, OK and zip codes 73160 and 73170 in their OKC office just 2.5 miles south of I-240.